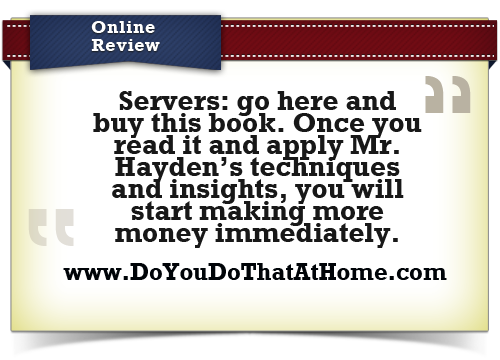 This book teaches the advanced techniques that take some servers a decade or more to learn. 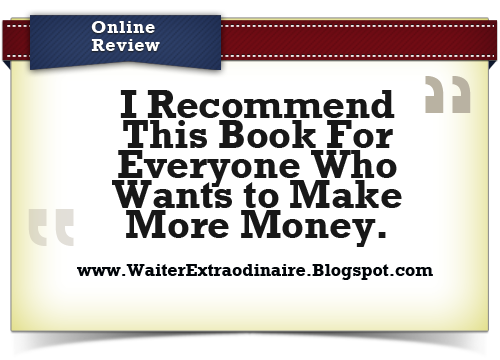 It is broken down into short chapters with specific action points. 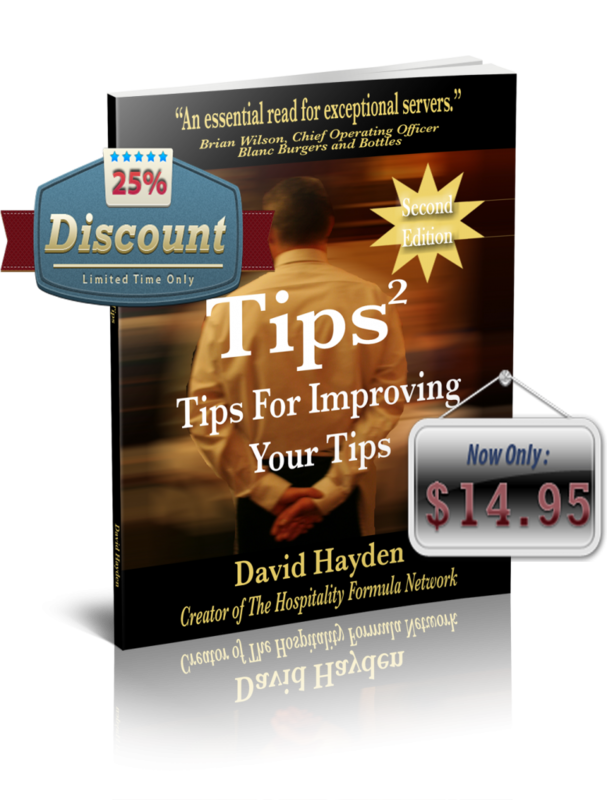 This allows restaurant servers to start benefiting from the skills it teaches and increase their tips on their very next shift. 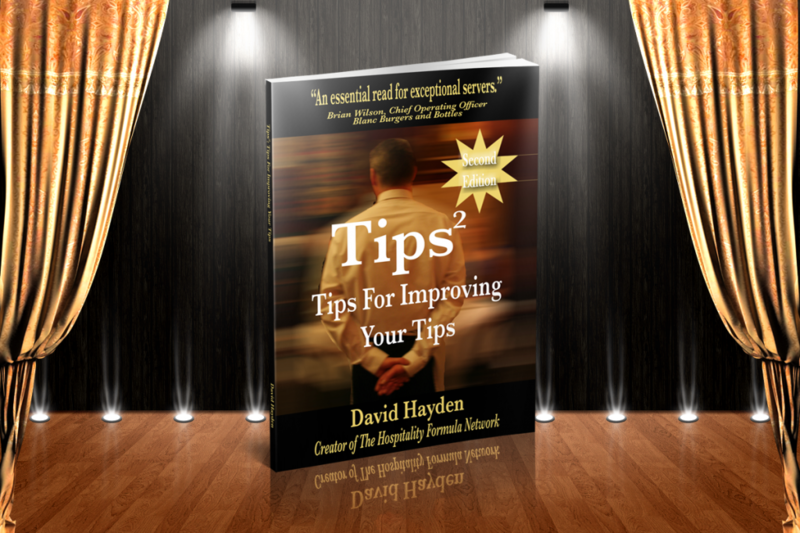 This is a restaurant server’s guide to making better tips on every shift. 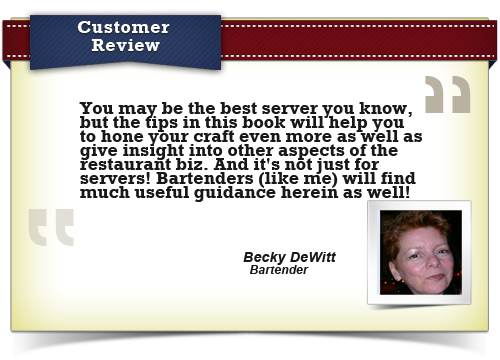 There have also been a number of excellent reviews of this restaurant server training manual published on leading restaurant industry blogs and websites. 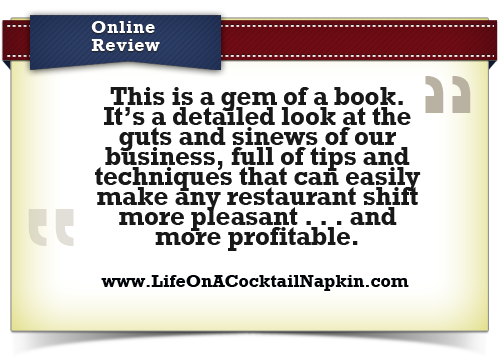 The reviews have been overwhelmingly positive. 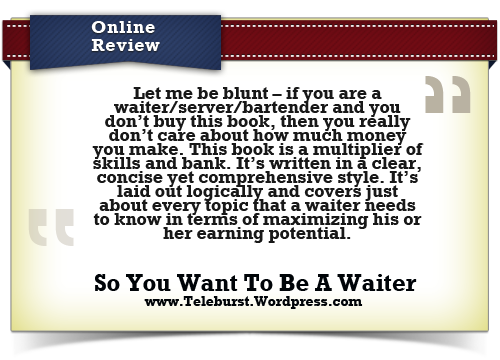 They do an outstanding job of explaining how you can benefit from this book and why it is more than a basic restaurant server training manual. I am convinced that Tips²: Tips For Improving Your Tips will help you make better tips by giving your customers service that they will rave about. 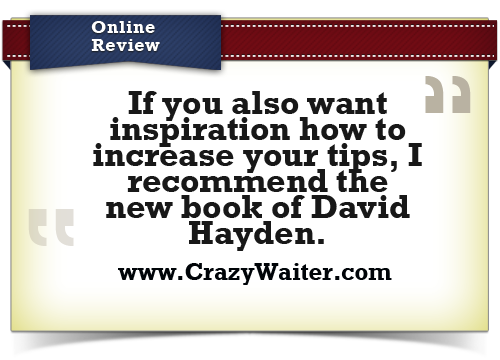 Learn how to work smarter, not harder. Make an investment in yourself to learn how to make better tips on every shift. I have learned that the most effective way to market this book is to get more copies in the hands of server. 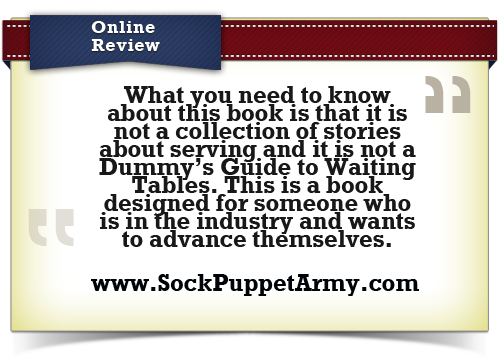 The servers who have read this book soon send their friends and coworkers to buy their own copies. 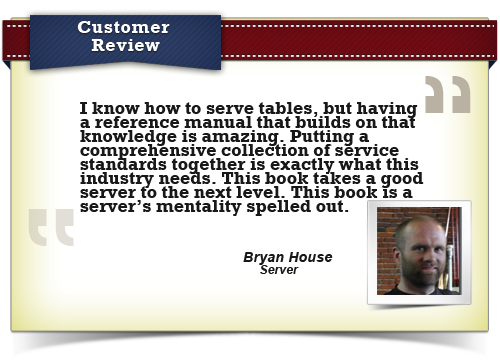 That is why for a limited time I am offering the ultimate server training manual at a 25% discount. 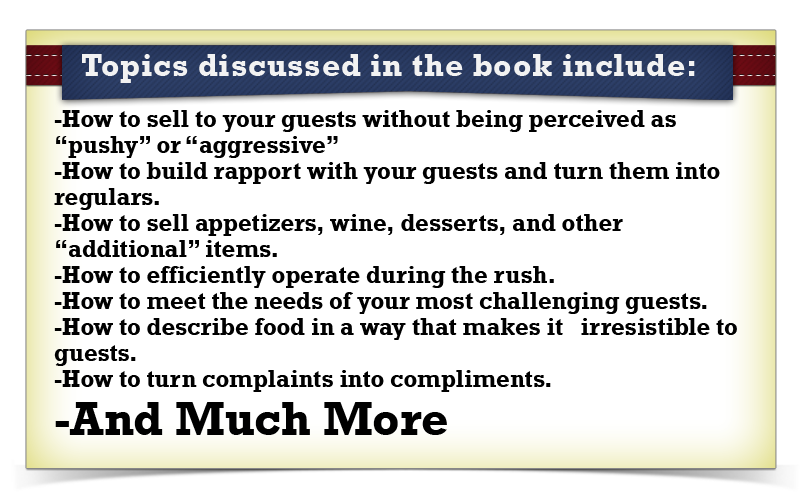 I will not be able to offer this discount indefinitely, but I feel confident that once you start implementing the lessons in this book your coworkers will want to know where they can get their own copy. 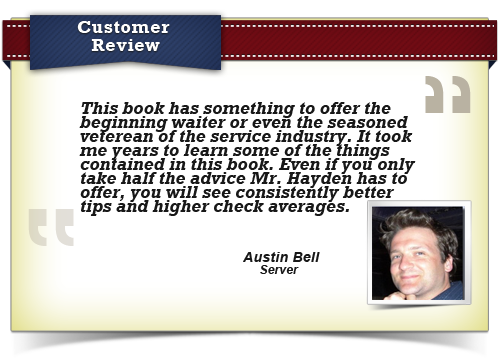 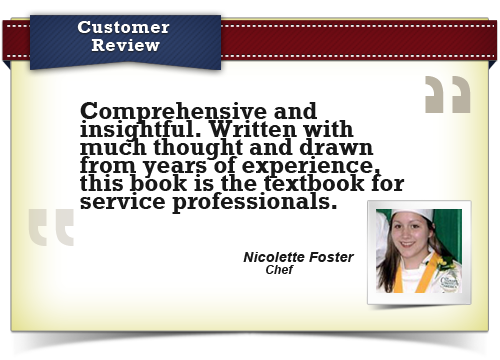 Buy Your Copy Of The Best Restaurant Server Training Manual At This Limited Time Discount Today!